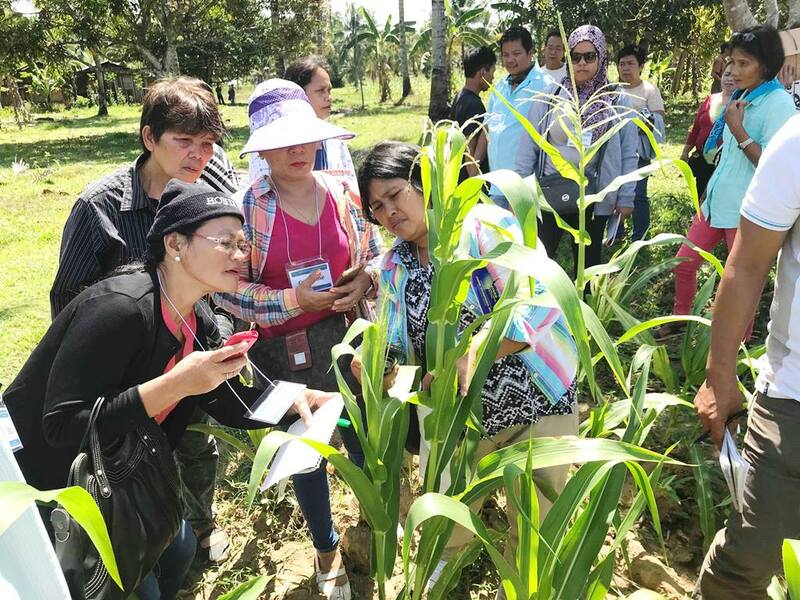 Training participants engaged in their field activities such as identification of pest and diseases in corn as well as integrated pest and disease management. Tubod, Lanao del Norte---Recognizing the significance of corn as food and feeds in the region, a training course on Good Agricultural Practices (GAP) for Corn and Cassava transpired recently. Attended by 33 farmer participants from batch I and batch II, the said training was mounted at the PAO-Farmers Learning Center in Tubod, Lanao del Norte. “Ako usa pud ka mag-uuma, dapat dili ta mo-undang pagtuon sa pagpanguma. Kani nga training daghan kaayo mo matun-an ani.” (I am also a farmer, we should never stop learning about farming. You can learn so much from this training) Mayor Leoncio Bagol of Tubod, Lanao del Norte said in his message to the trainnig participants. The training intends to create a core of municipal-level trainers on GAP for corn and cassava towards GAP compliance and certification. Activities include identification of pest and diseases in corn, integrated pest and disease management, and a workshop proper of common production practices among corn farmers. In a nutshell, Philippine-GAP is a set of consolidated safety and quality standards formulated by the Department of Agriculture (DA) for the production, harvesting and on- farm post-harvest handling and storage of different crops. This code of practice was emanated from Good Agricultural Practices (GAP) which is based on the concept of Hazard Analysis and Critical Control Points (HACCP) and Quality management principles from farm to table continuum.